I good game for any skill level. Simple enough for probably as young as 8 y/o but fun for adults. Only drawback is that it can sometimes be onesided. 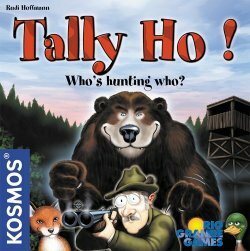 A fun two player game where one person takes on the role of the hunter, and the other the prey. This is the kind of game you can take with you where ever you go and draw people into playing with you.